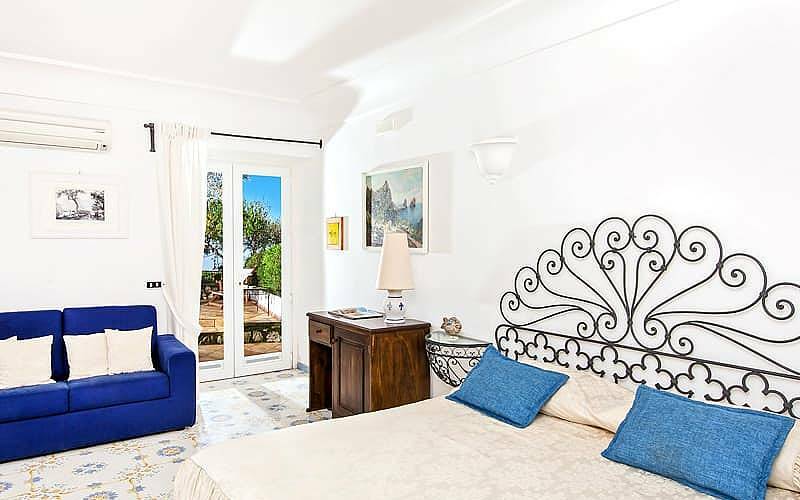 Even the simplest of guest houses can provide the perfect destination for a dream holiday you'll never forget. 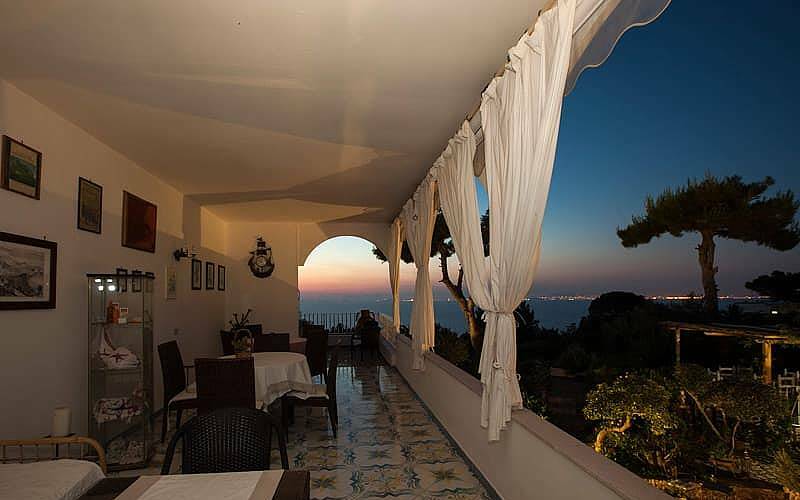 Especially when that guest house is on the Island of Capri. 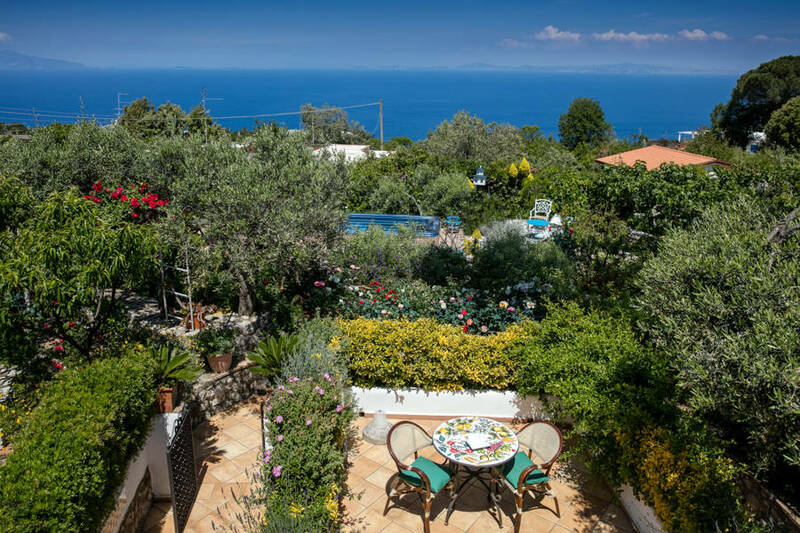 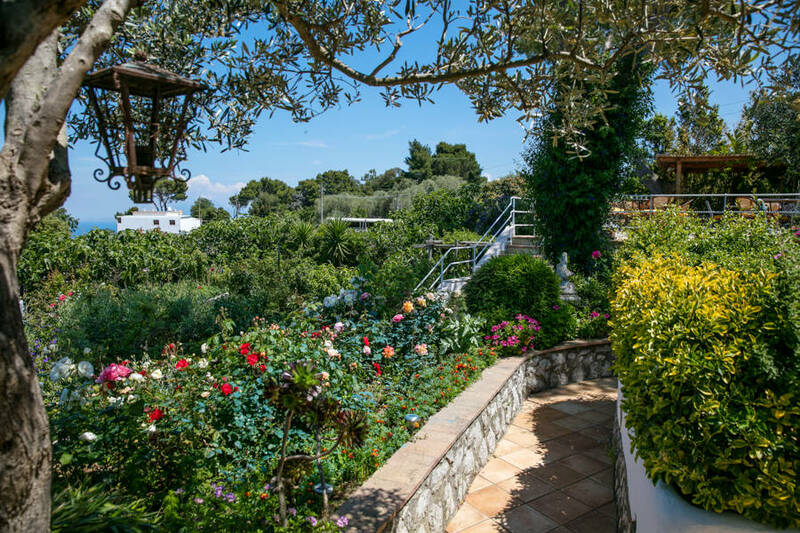 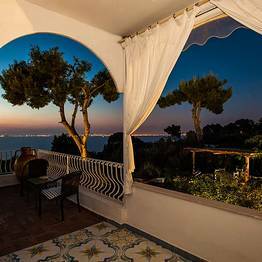 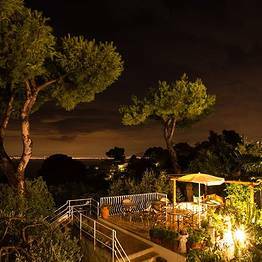 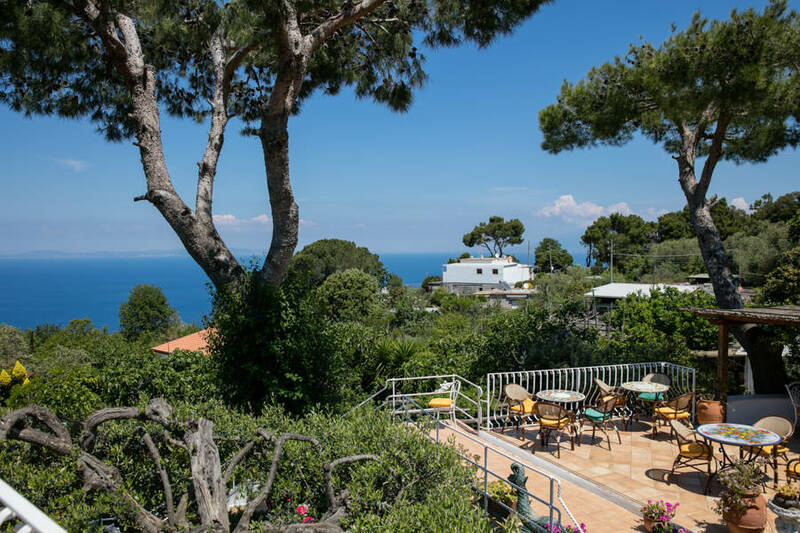 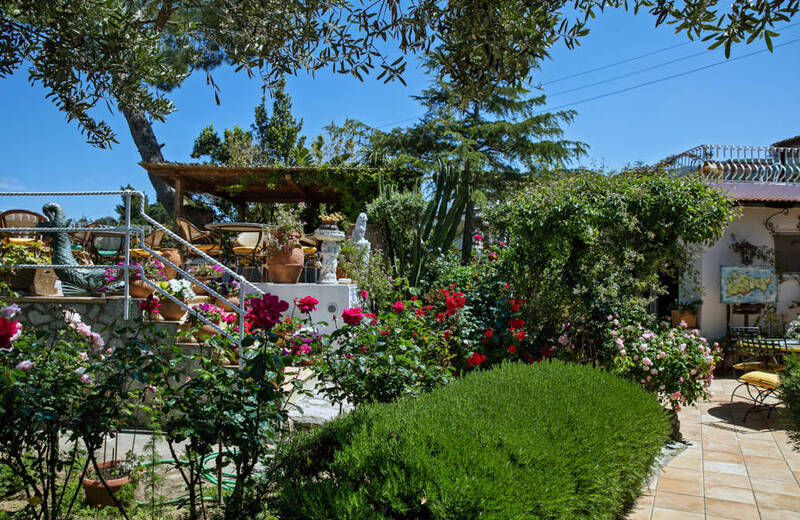 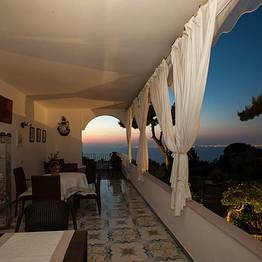 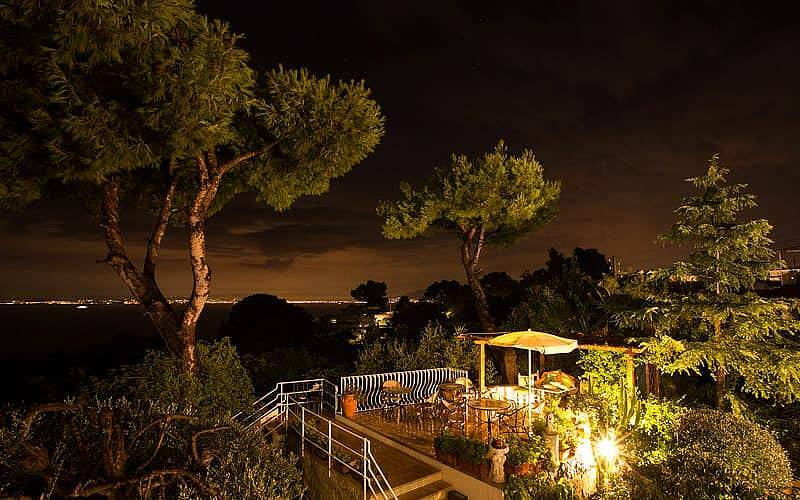 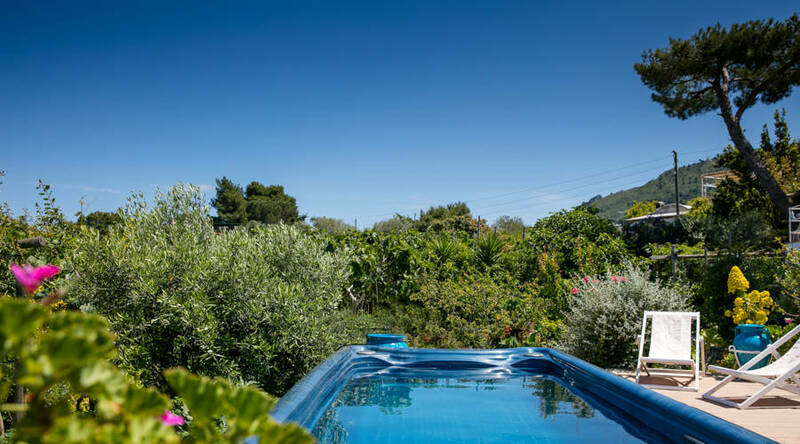 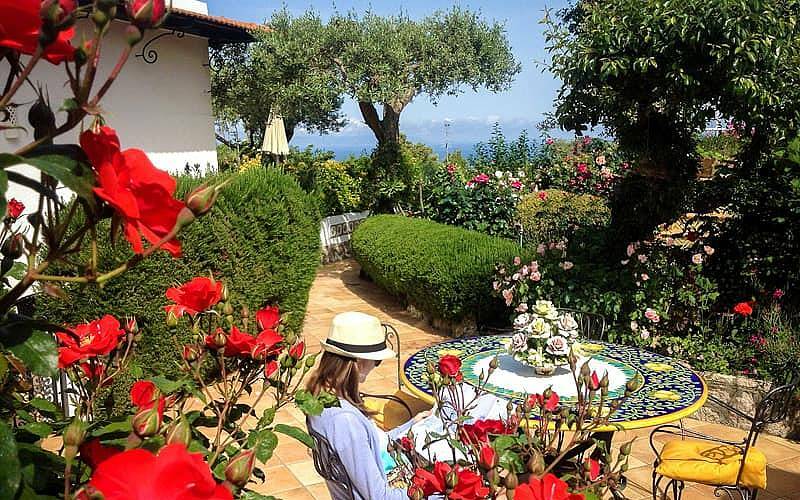 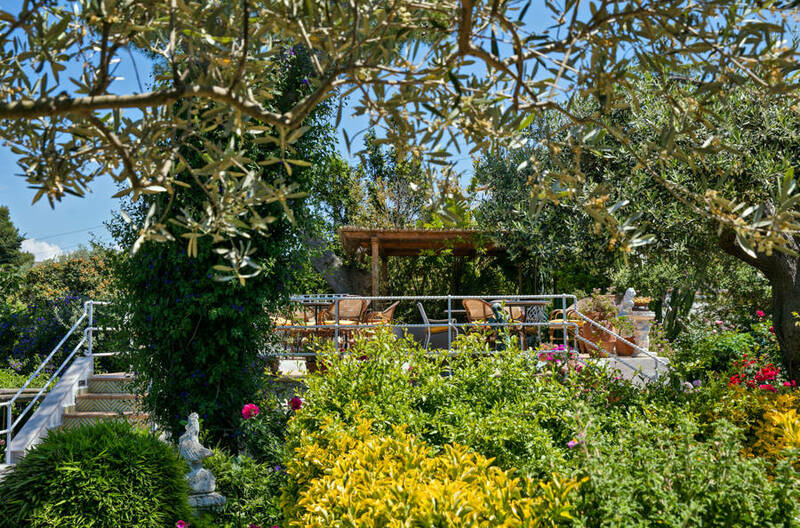 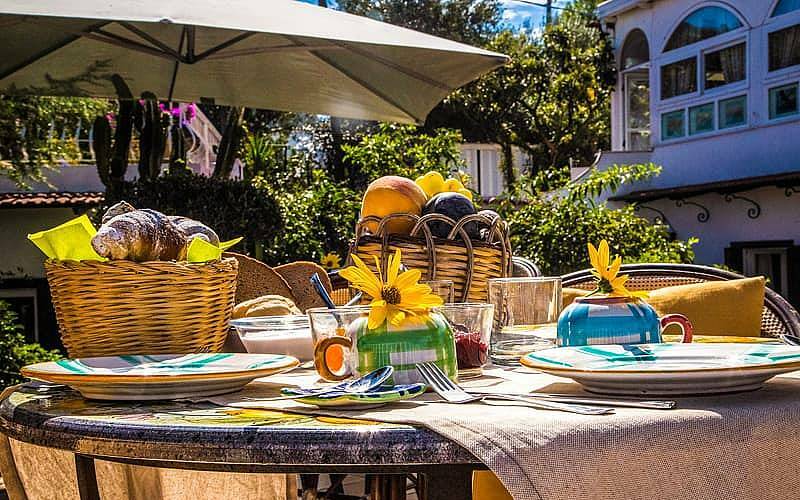 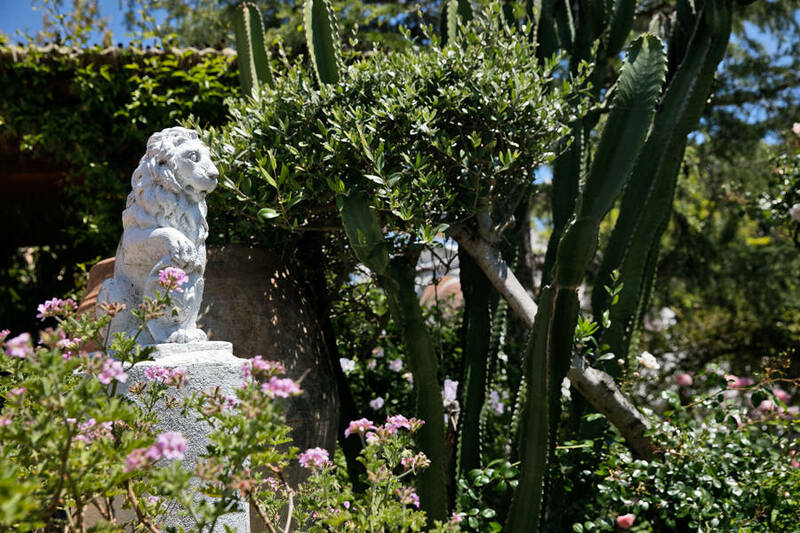 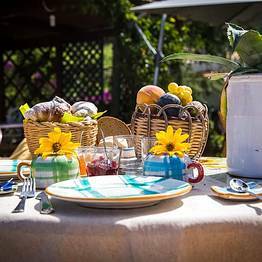 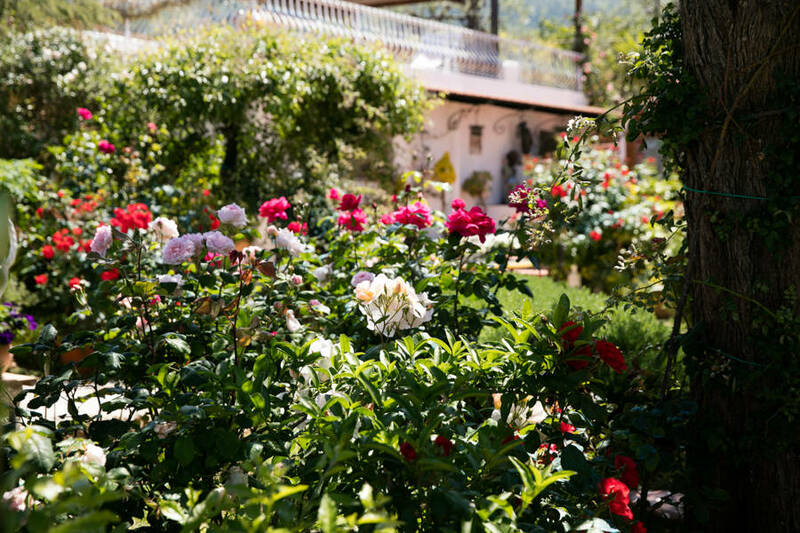 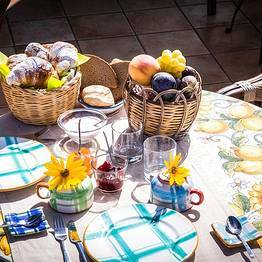 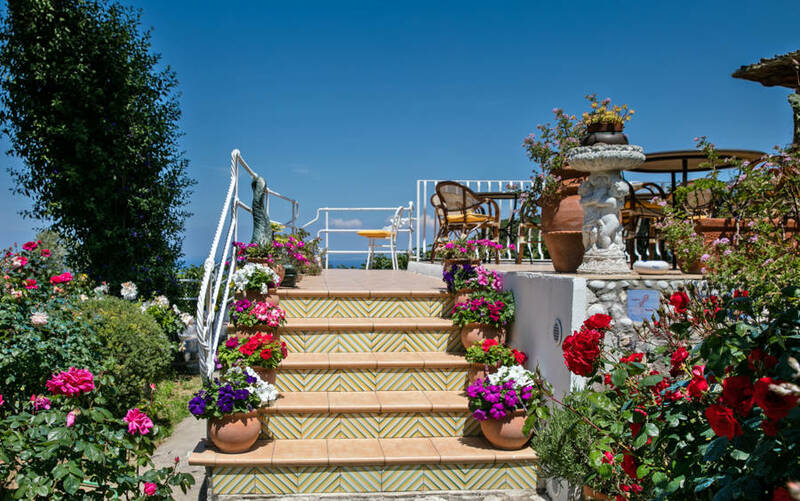 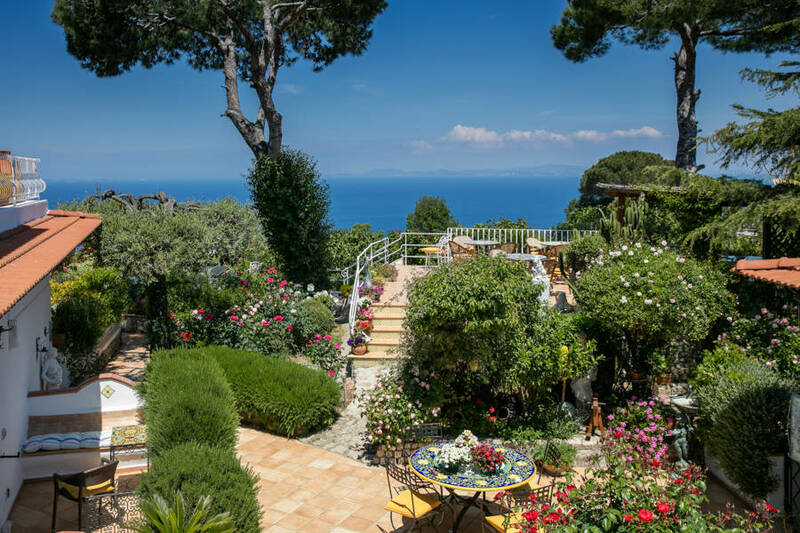 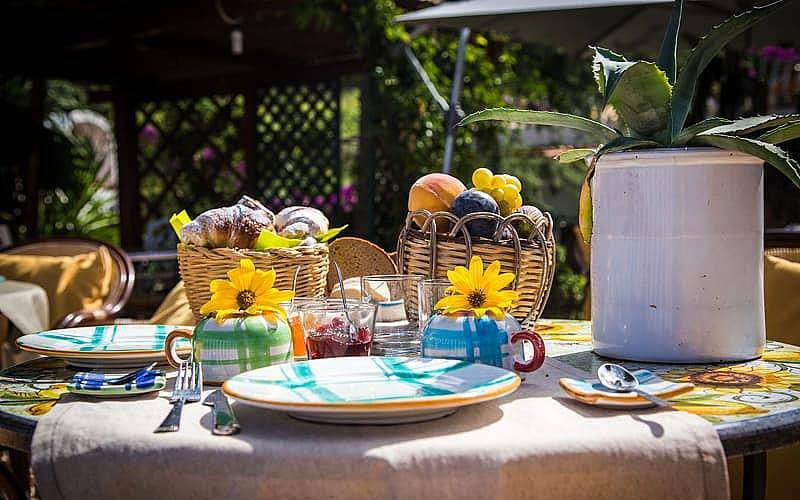 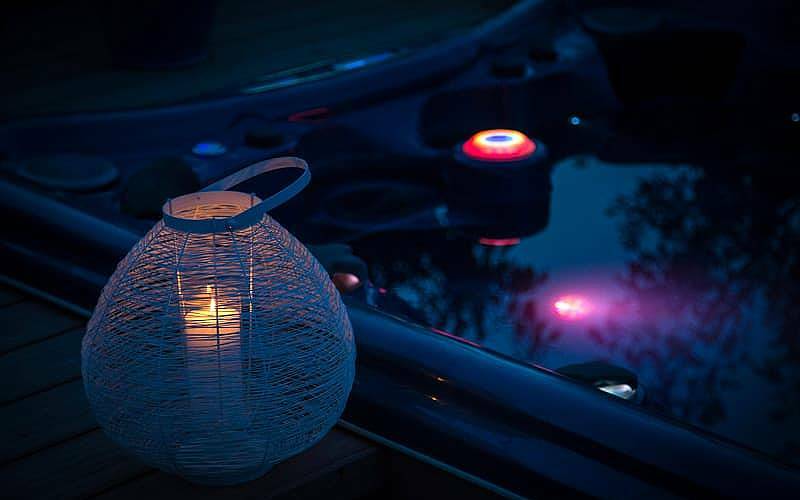 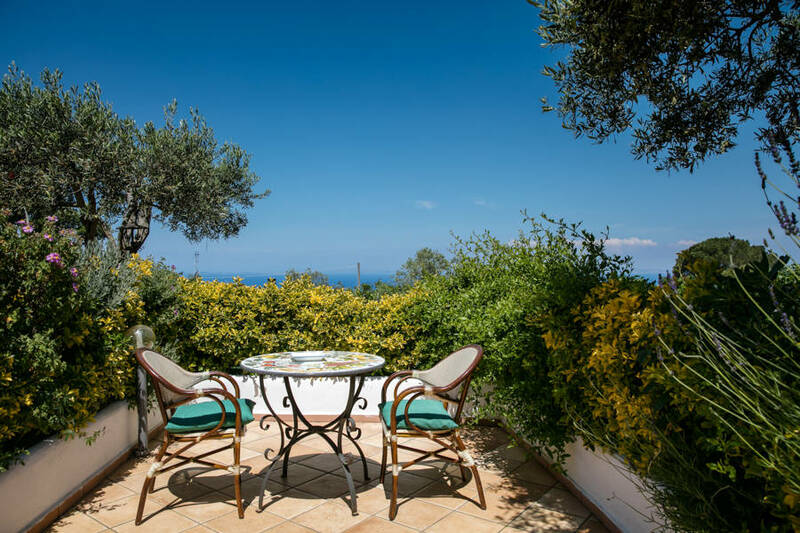 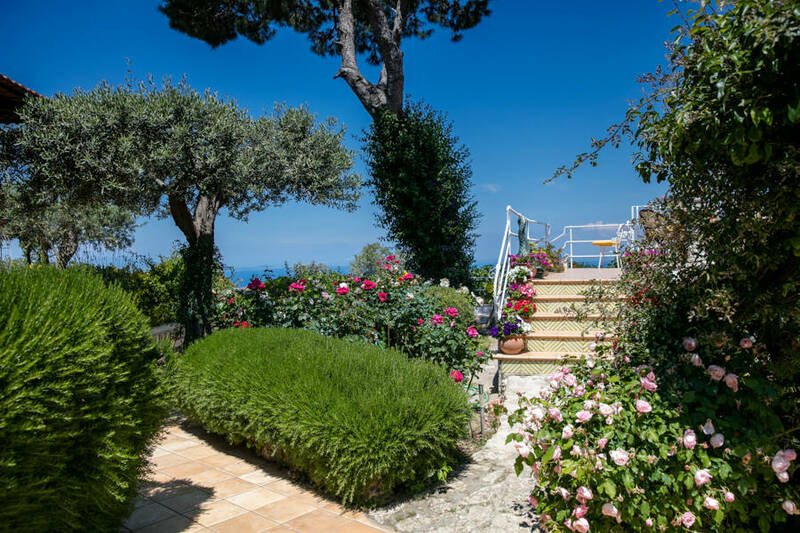 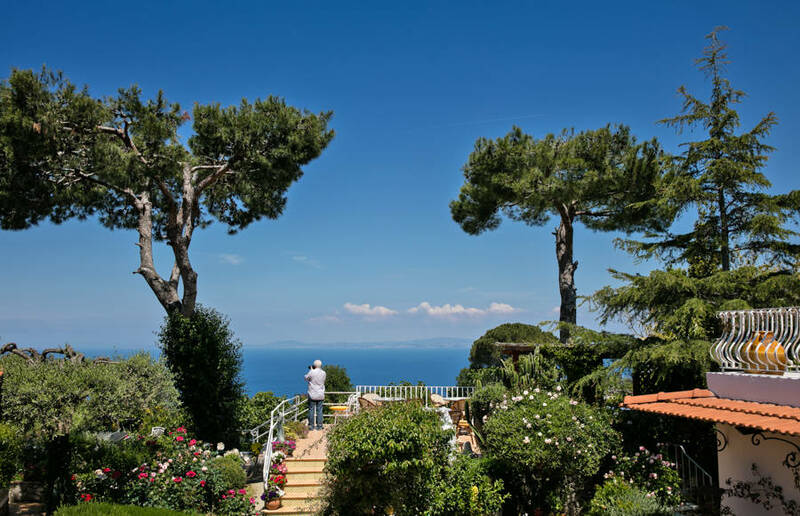 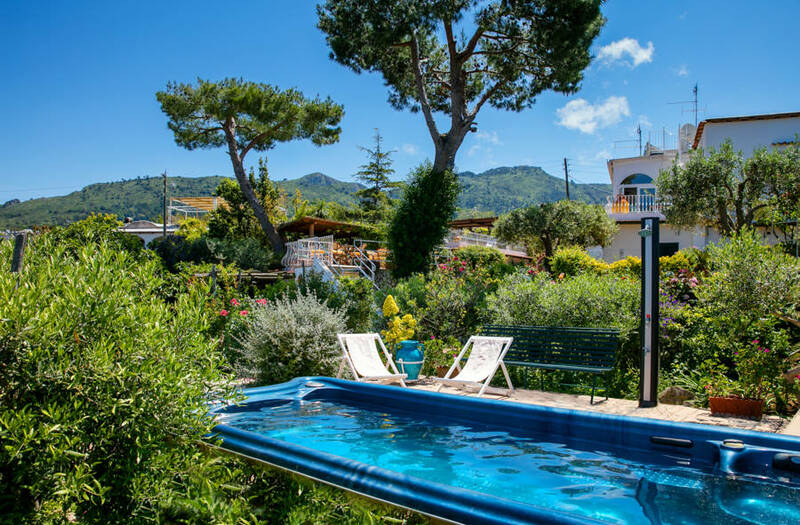 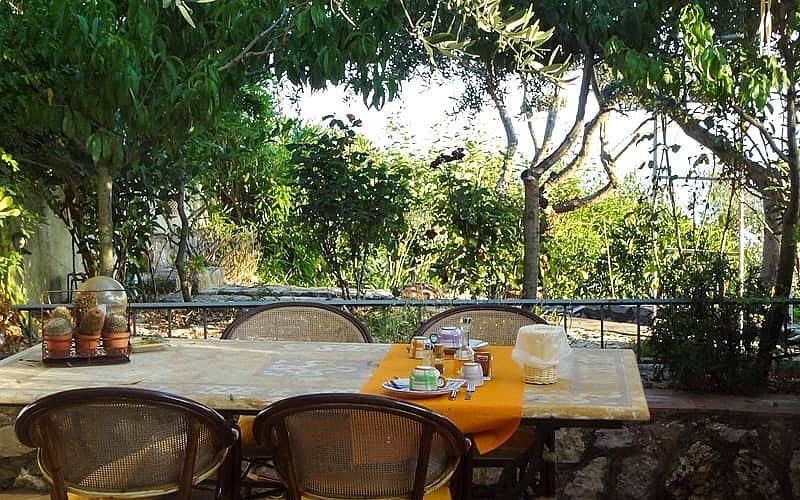 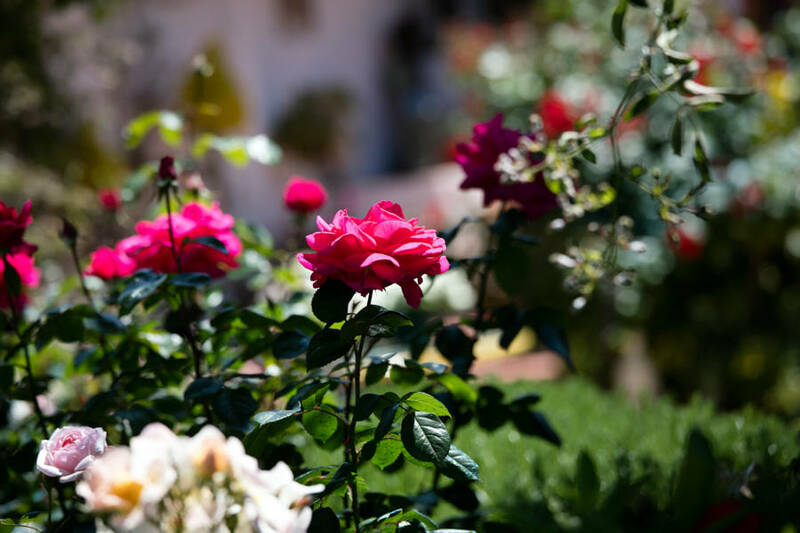 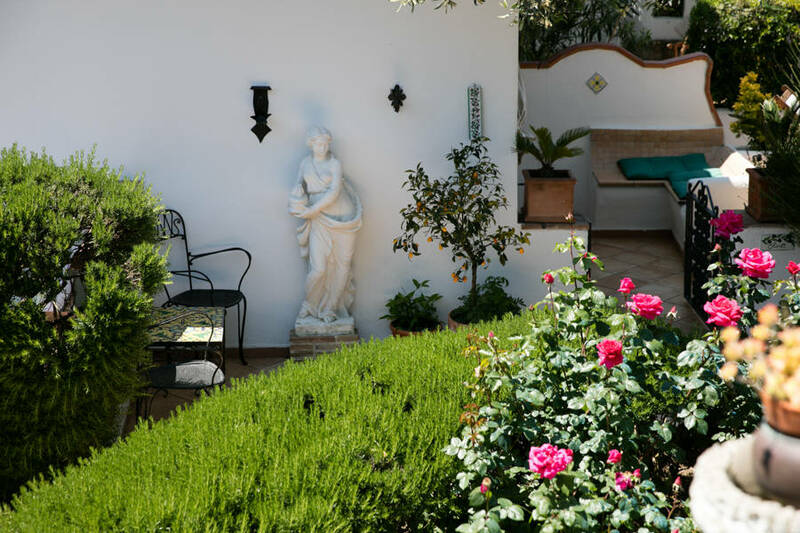 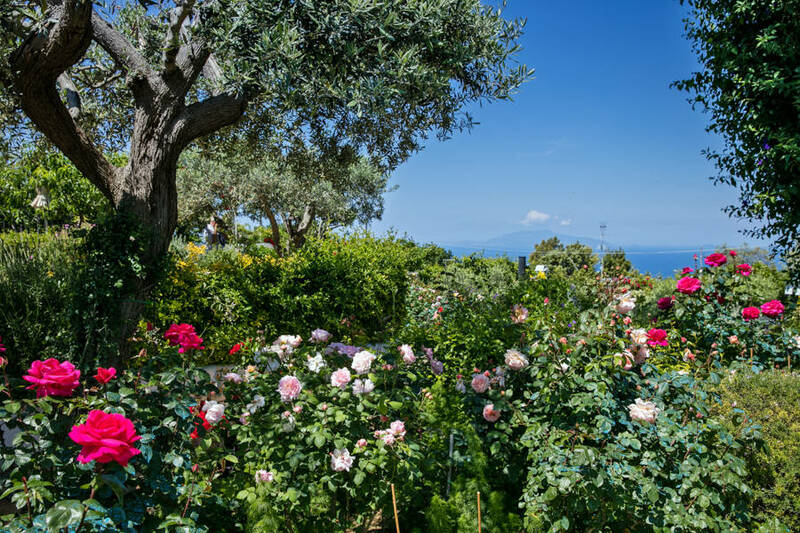 If you're looking for a peaceful hideaway, far from the glitz and glamour of the Piazzetta, with gorgeous gardens and breathtaking sea views, you'll love Giardino dell'Arte. 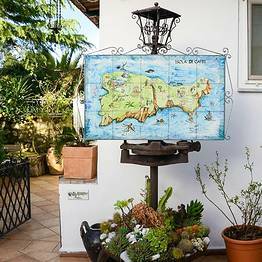 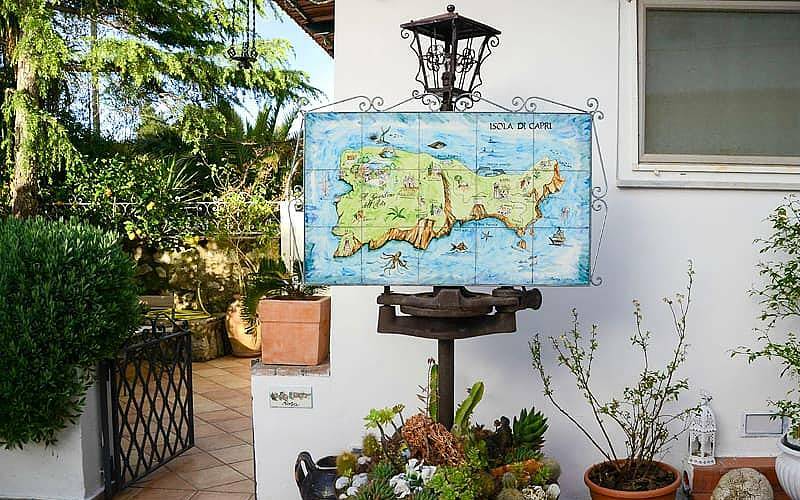 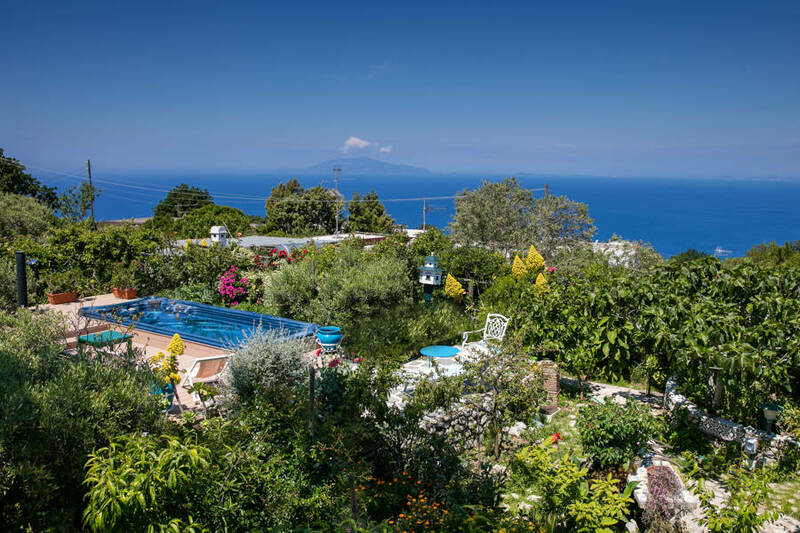 Located just outside the center of Anacapri, in an area traditionally used for the cultivation of grapes, Giardino dell'Arte occupies a traditional island residence set in attractive Mediterranean gardens, featuring magnificent views of the sea and the neighboring island of Ischia. 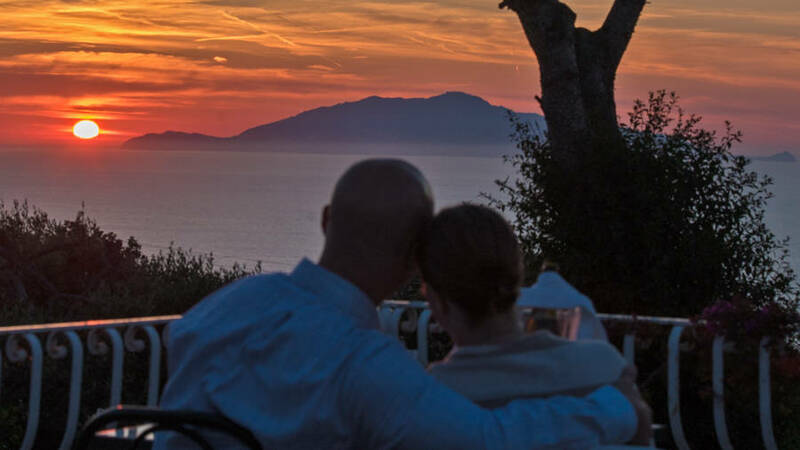 Each evening, guests are treated to nature's light show as the sun sets in blazing glory over the deep blue waters of the Mediterranean. 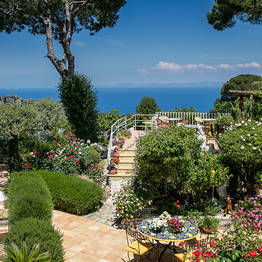 There are times when the intimacy and unique personality of a family home are worth more than any number of hotel stars. 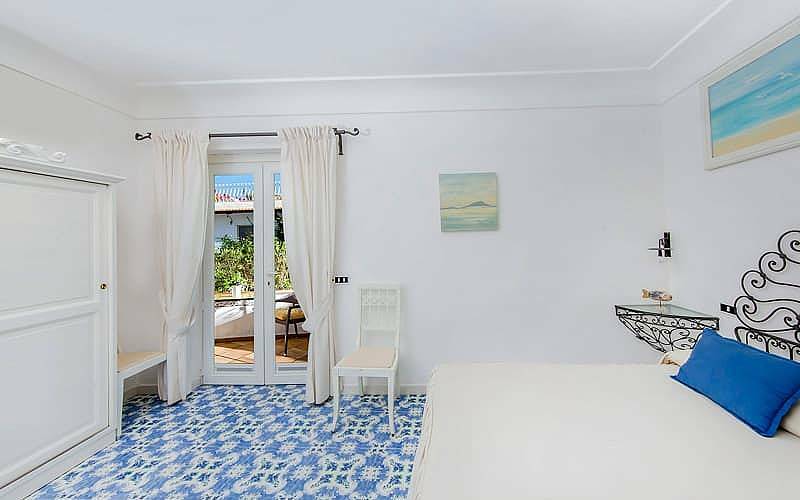 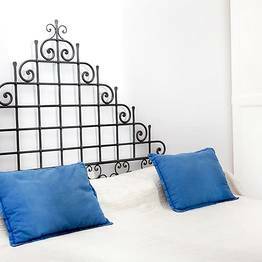 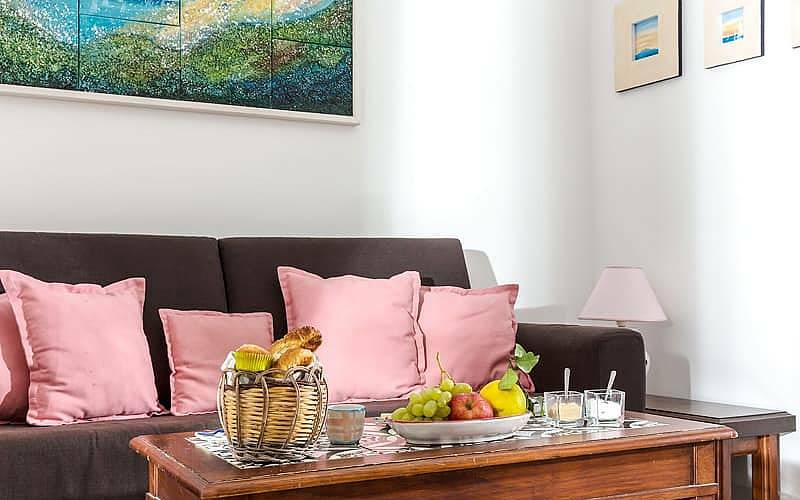 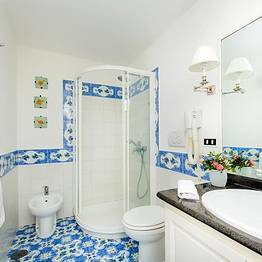 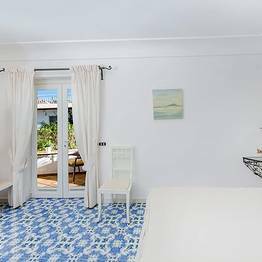 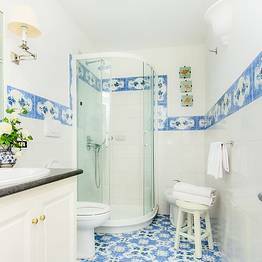 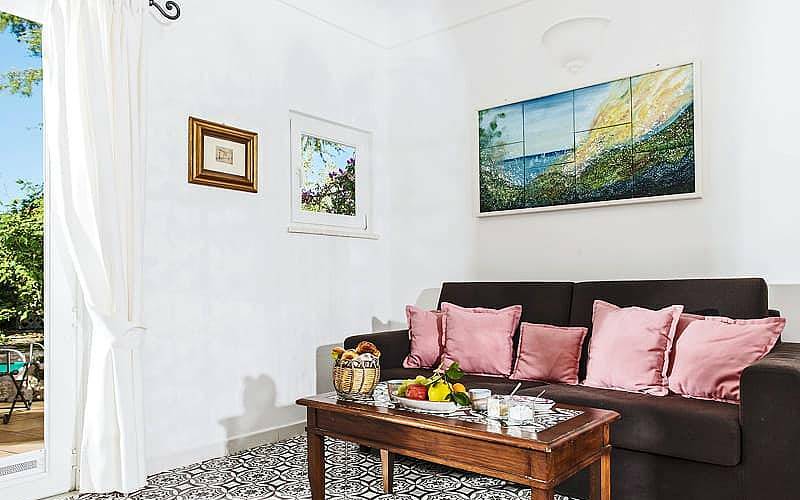 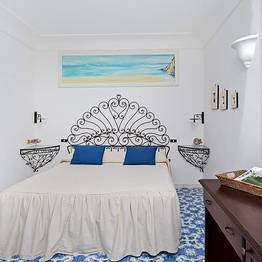 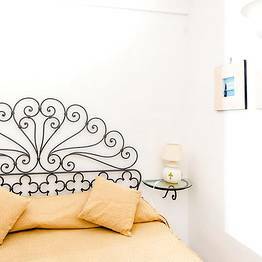 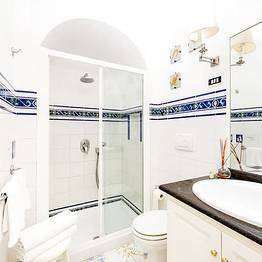 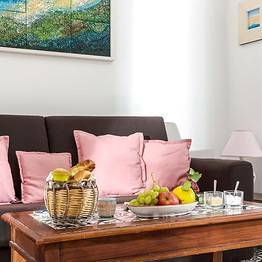 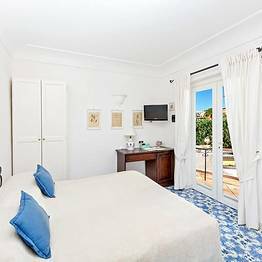 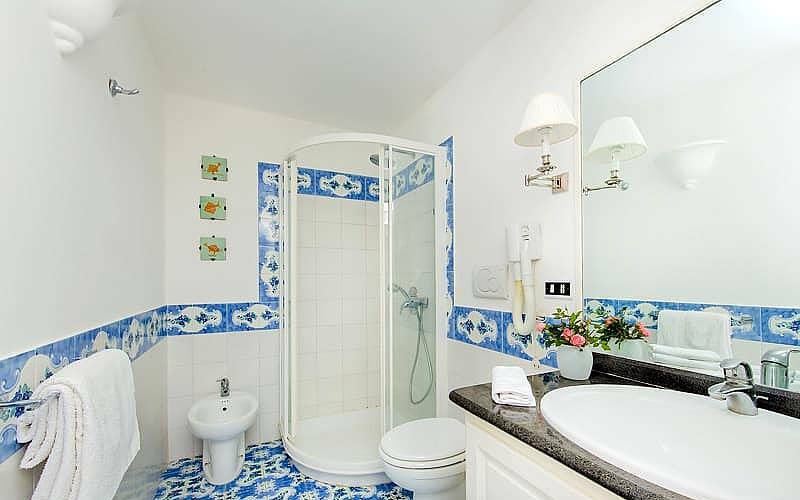 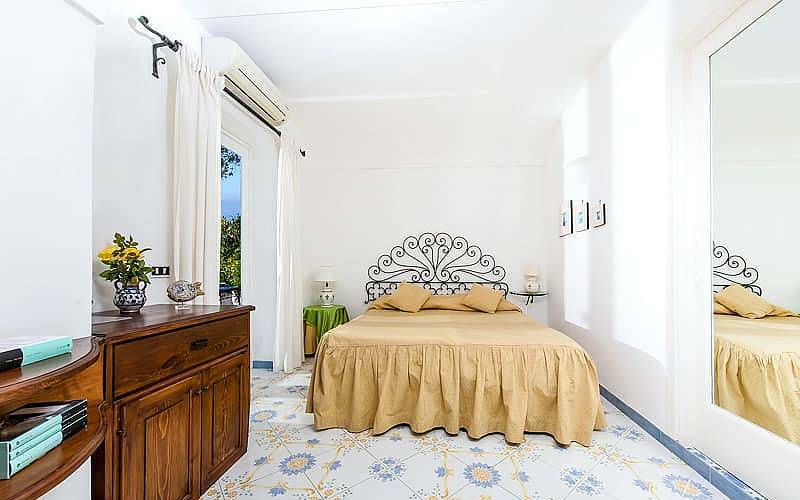 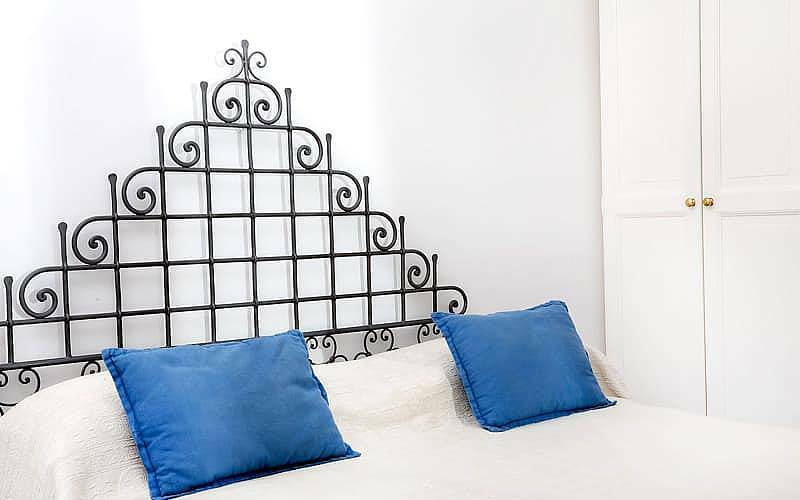 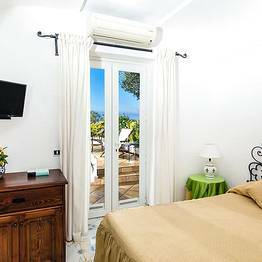 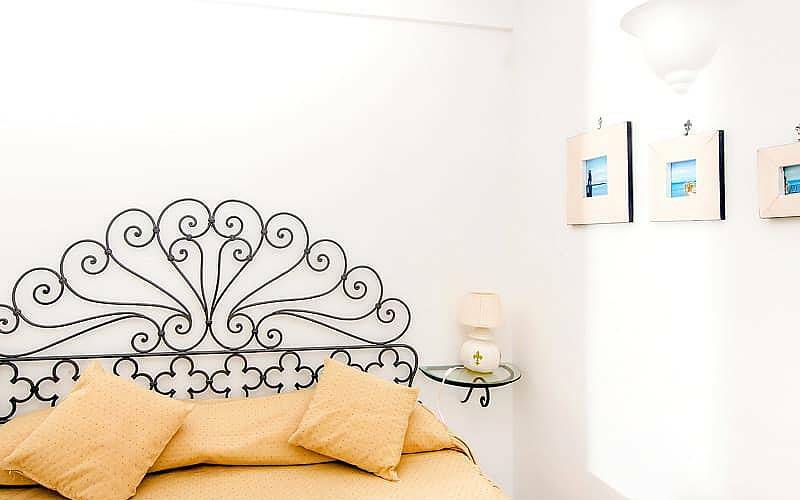 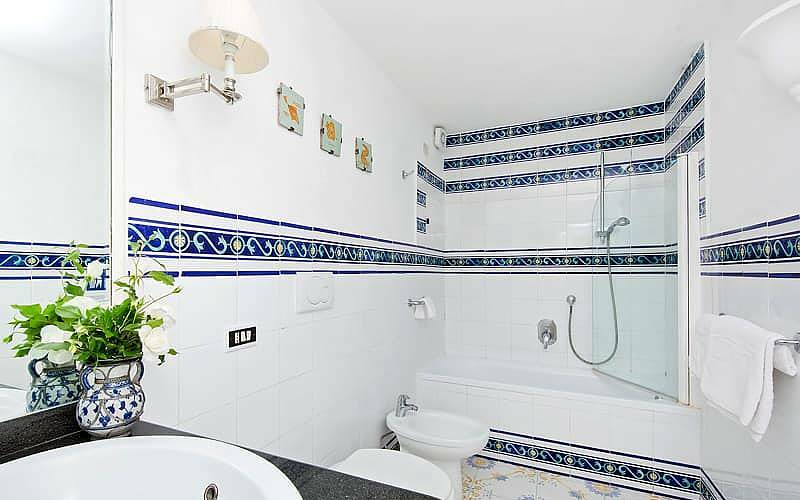 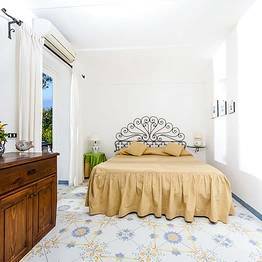 Even more so when the bedrooms reserved for guests are the result of the kind of loving care used to create Giardino dell'Arte's five mini suites, all of which have their own private terrace and are equipped with air conditioning, wifi, and flat screen televisions. 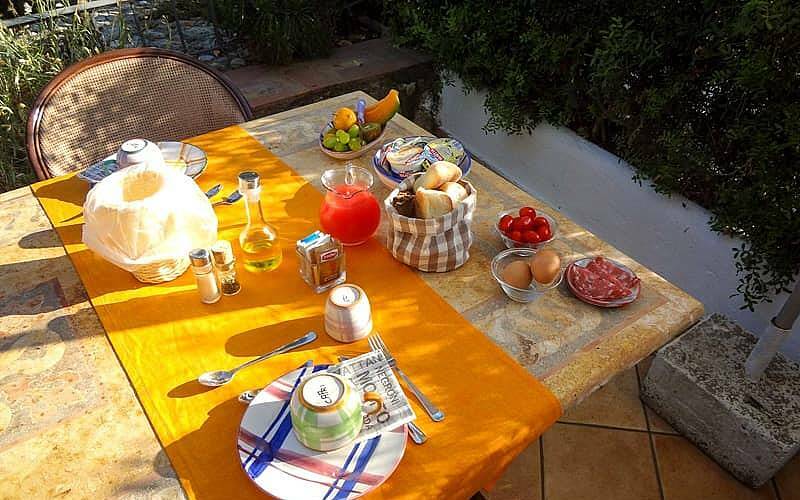 Special breakfast dishes suitable for celiacs are available upon advance request! 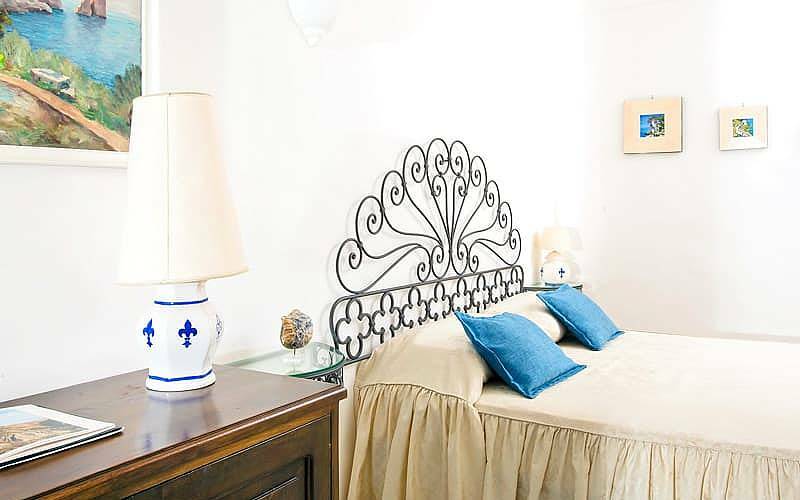 "The decor in the bedrooms was beautiful and simple, we slept wonderfully well!" 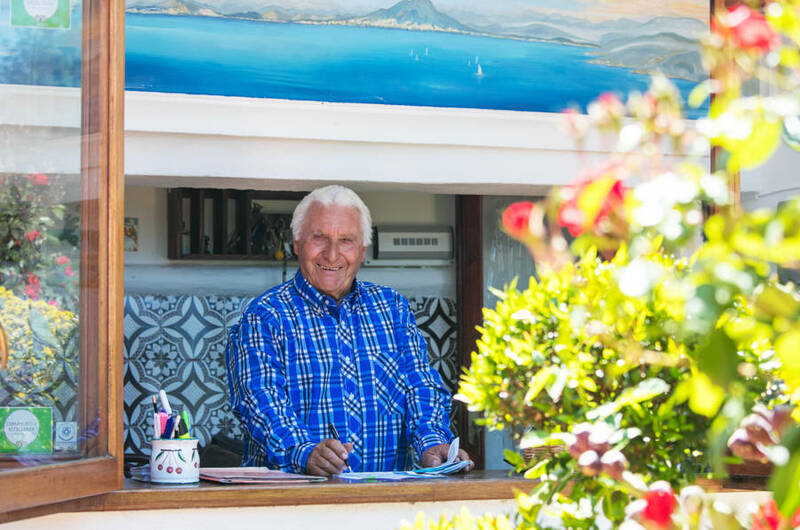 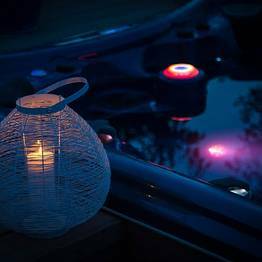 "The charming owner, Franco, made our stay really special, giving us all sorts of advice and precious insider information. " 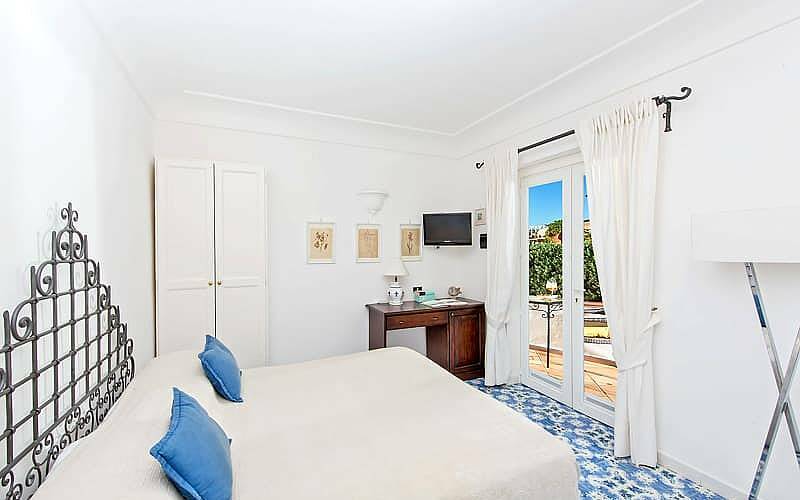 "The bedrooms give a real sense of peace and tranquility and the view from the terraces is spectacular. " 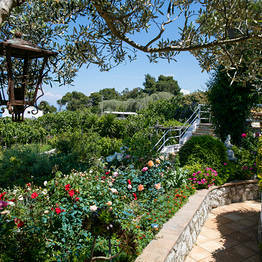 "In the well kept garden, brimming with beautiful flowers and plants, guests relax on inviting hammocks." 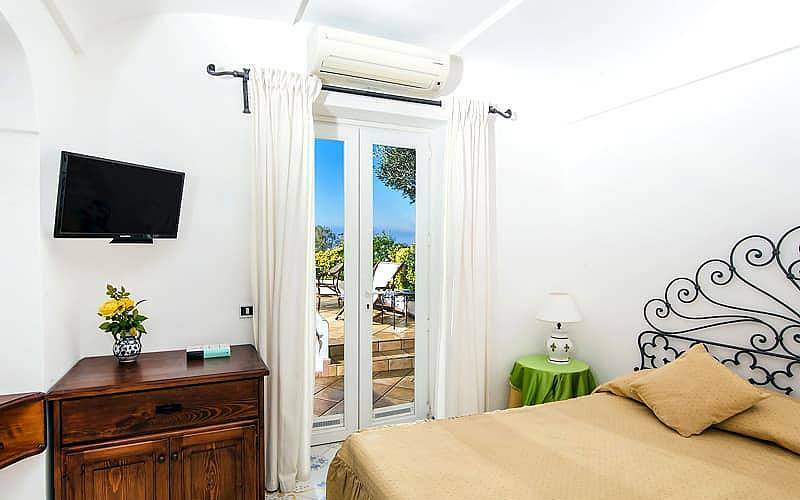 "I would recommend the hotel to anybody wanting to enjoy a relaxing holiday and, at the same time, be within easy reach of all the Island's main tourist attractions." 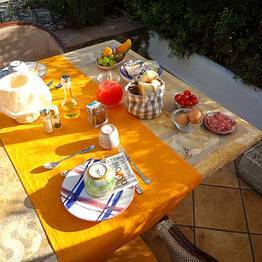 "We were made very welcome. 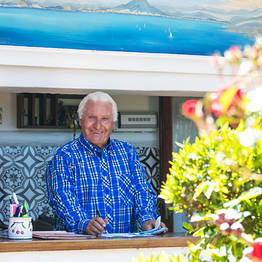 Franco was very helpful and charming. 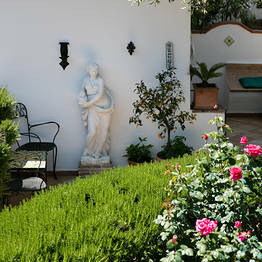 A great little haven with lovely patios and garden areas. 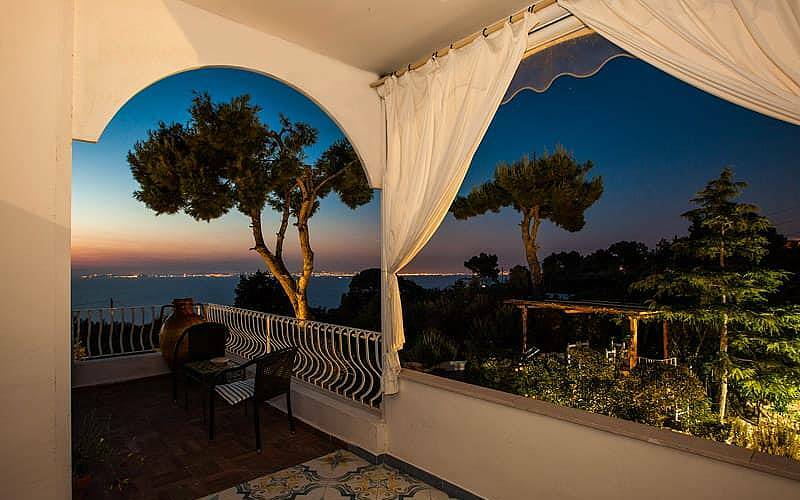 A fantastic views of the bay of Naples. 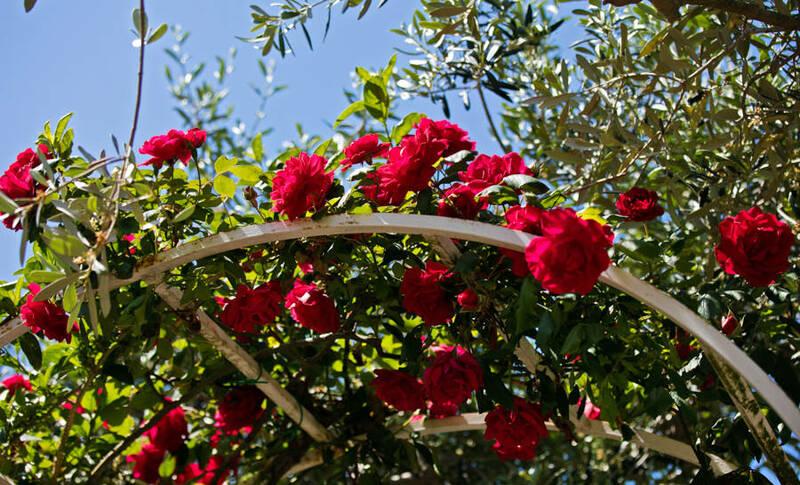 A pleasant walk into the town. " 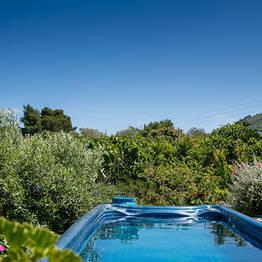 "Will go back!! 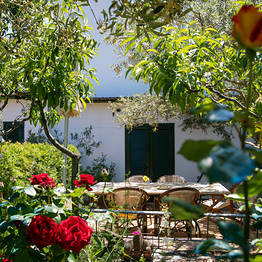 Lovely garden retreat away from the maddening crowds, but with easy walks to bus lines to the sites. 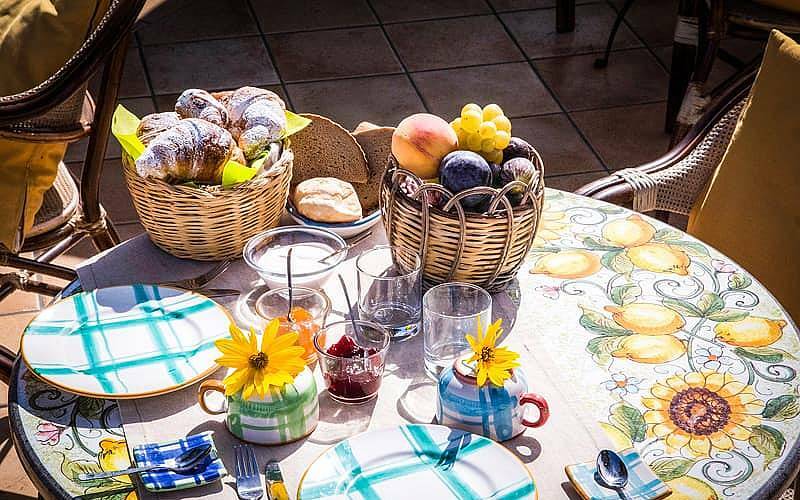 Franco treated us like friends of the family. 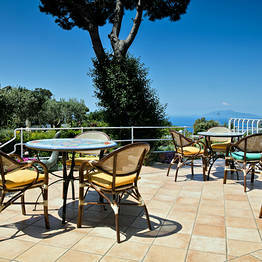 Fantastic beach recommendations too!" 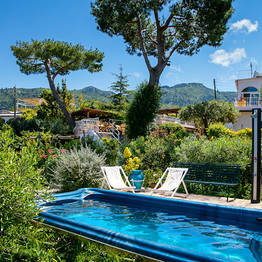 "Franco was a wonderful host, always happy to help, give us advice and recommend places to go. 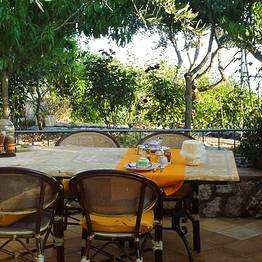 The 'Olive' room had a beautiful view looking out to Ischia which we admired whilst eating breakfast "
"From the Giardino dell'Arte's guests enjoy fabulous views of the sea and the Island of Ischia. " 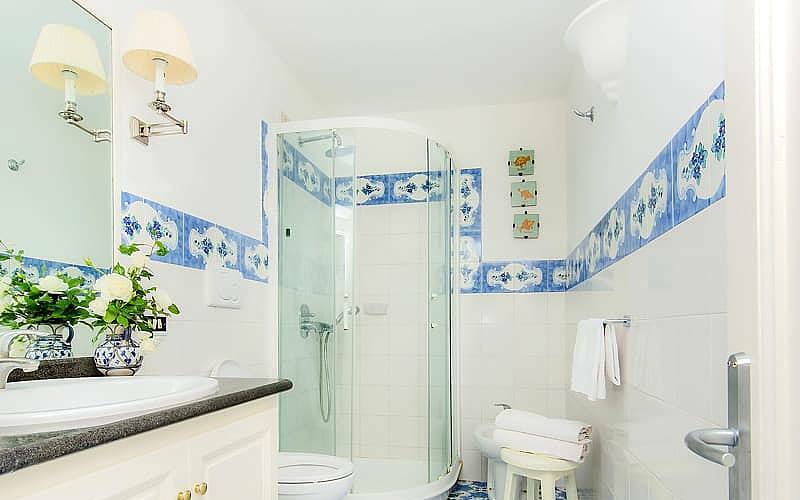 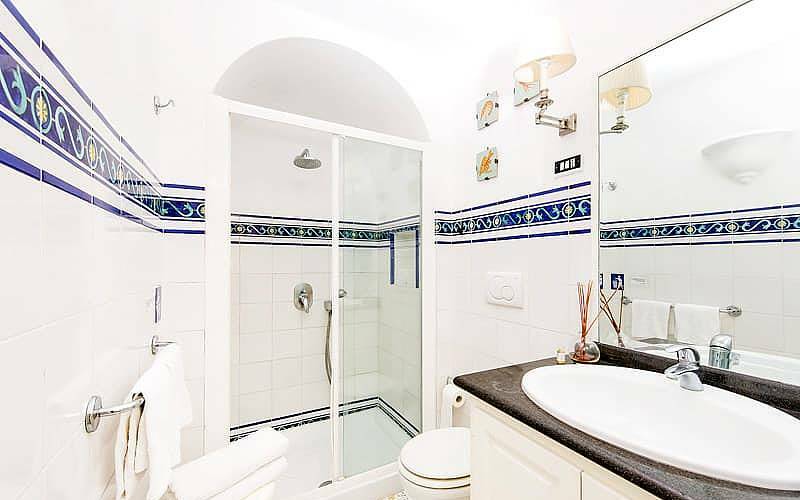 "The standard of the bathrooms and showers is high enough to beat even that of a four star hotel. " 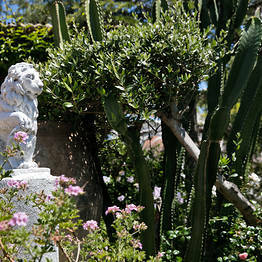 Giardino dell'Arte is located close to the center of Anacapri, in the area known as "La Vigna". 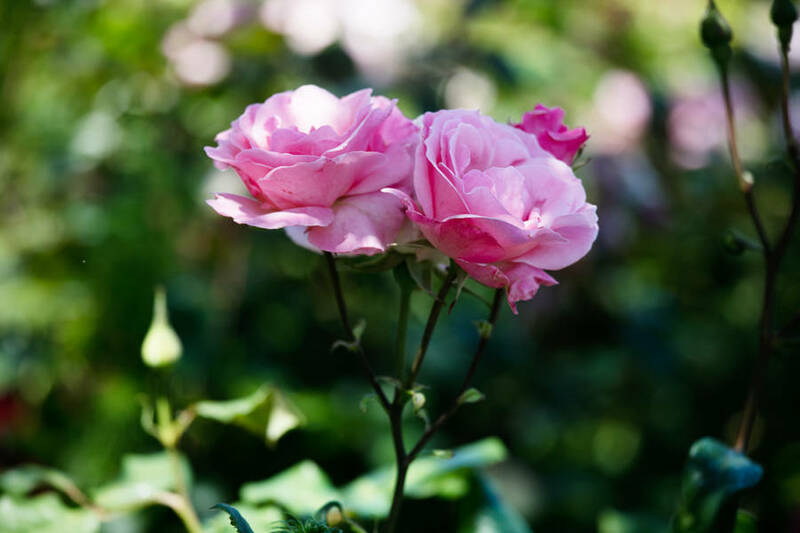 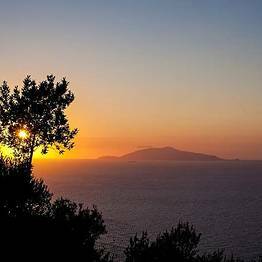 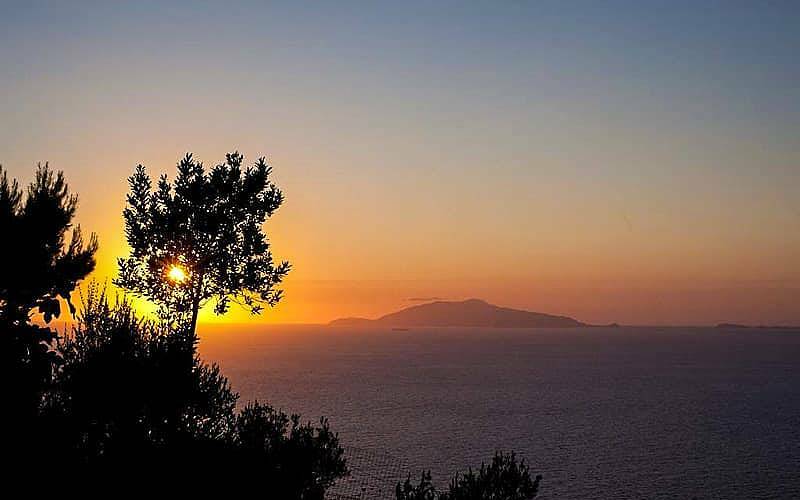 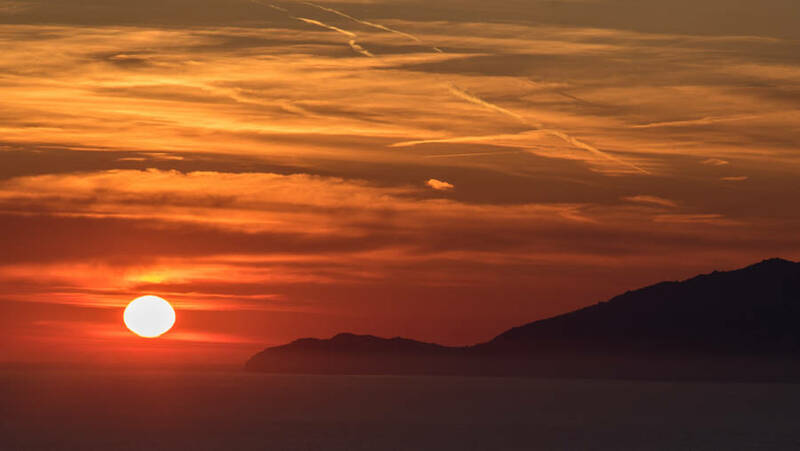 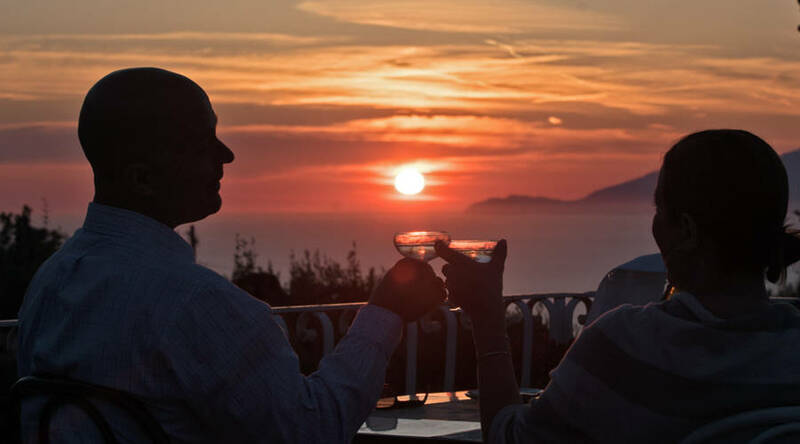 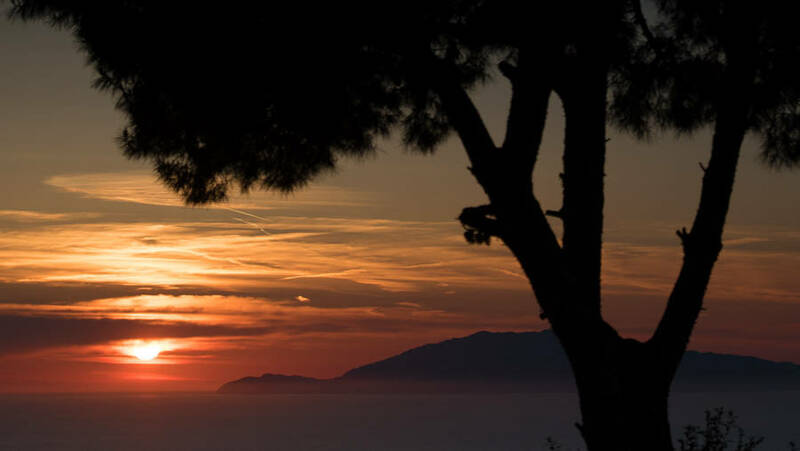 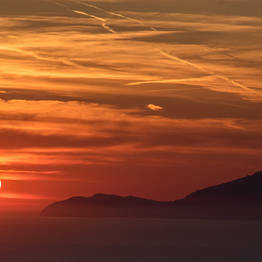 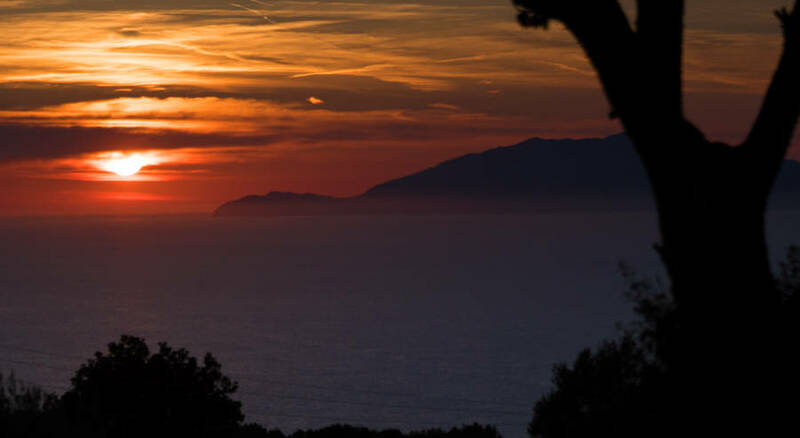 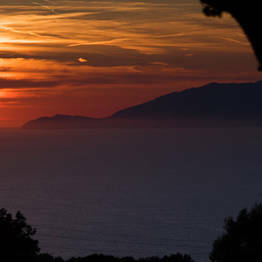 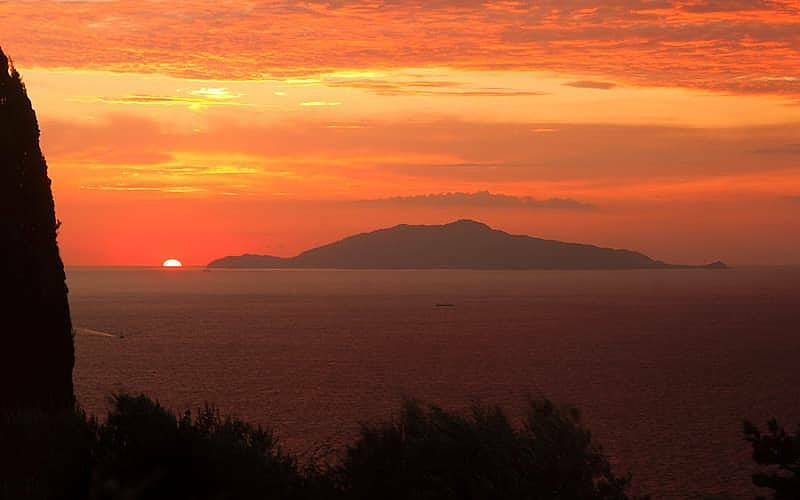 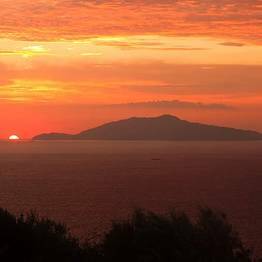 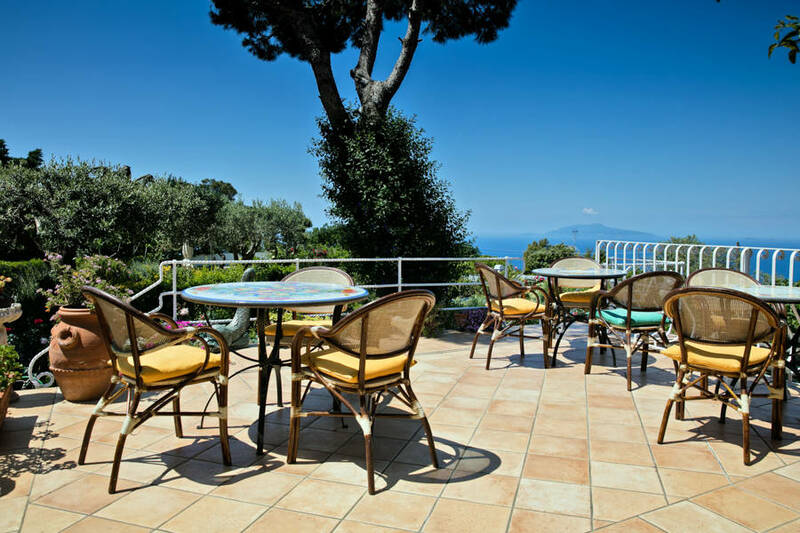 The Church of San Michele, the chairlift to Monte Solaro, and Anacapri's Villa San Michele and Casa Rossa museums all lie within easy walking distance of the guest house. 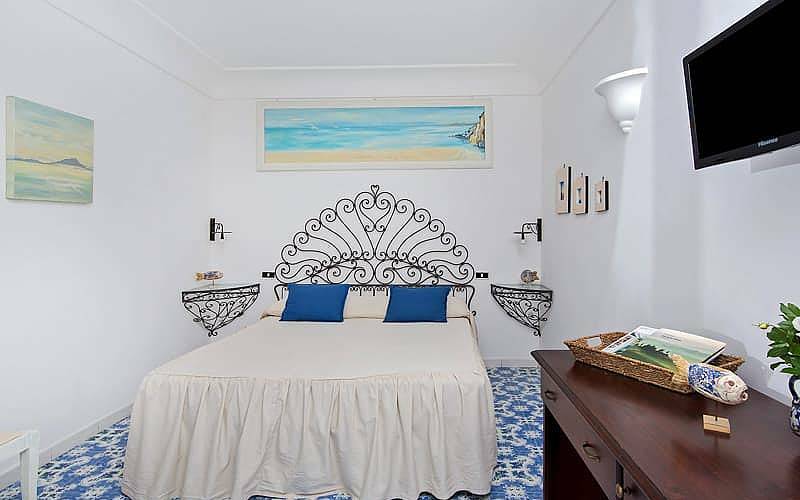 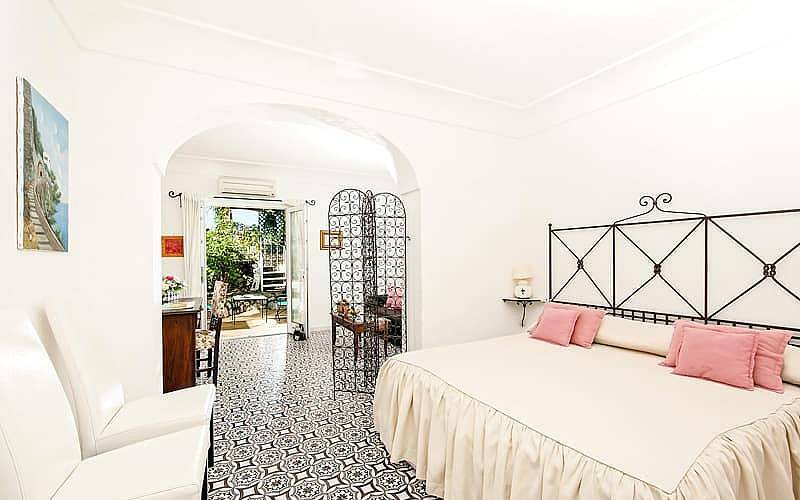 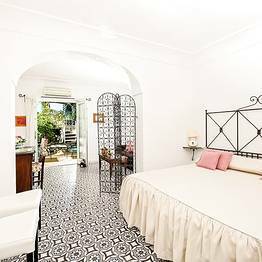 Easily reached by taxi or bus, Giardino dell'Arte is situated just 20 meters away from the nearest bus stop, where guests can catch buses to the Grotta Azzurra, Capri, the Piazzetta and all of the island's principal beaches. 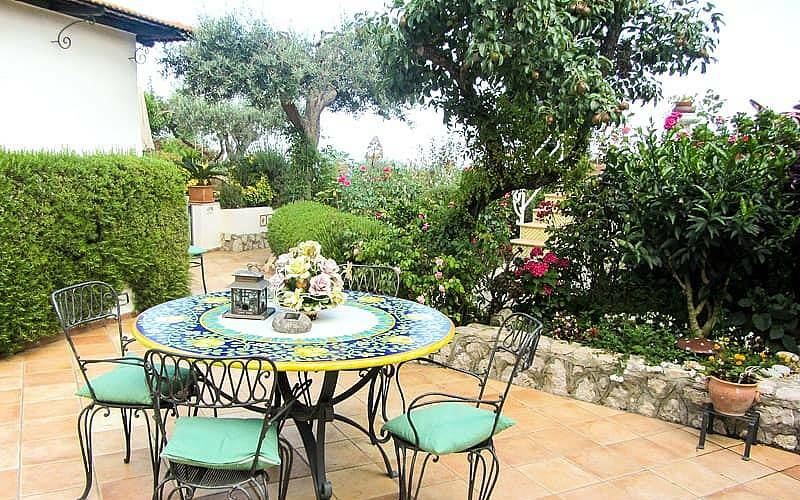 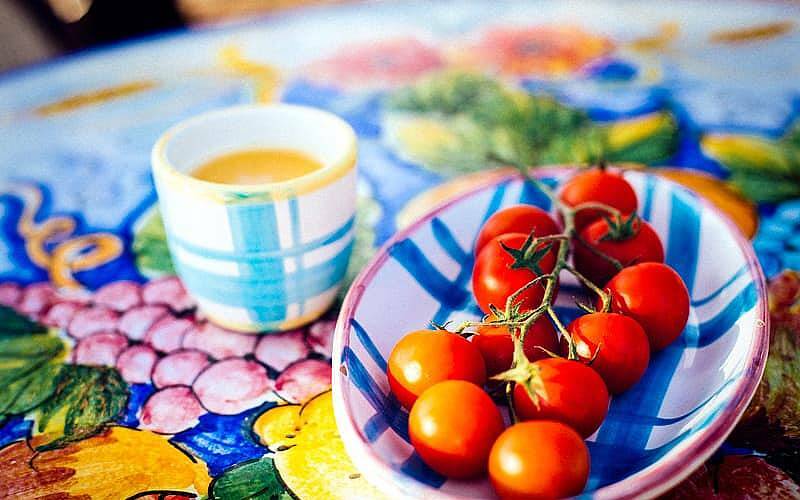 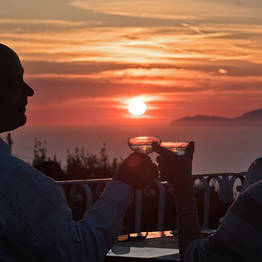 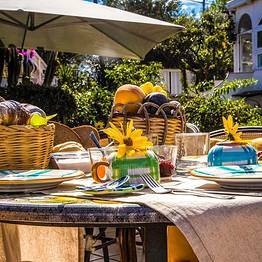 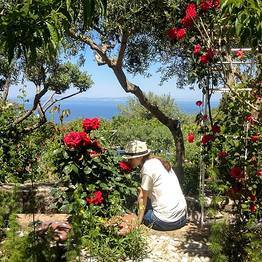 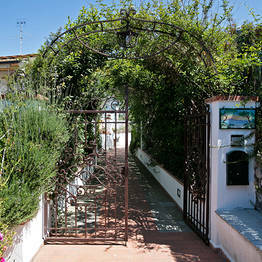 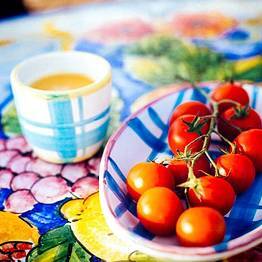 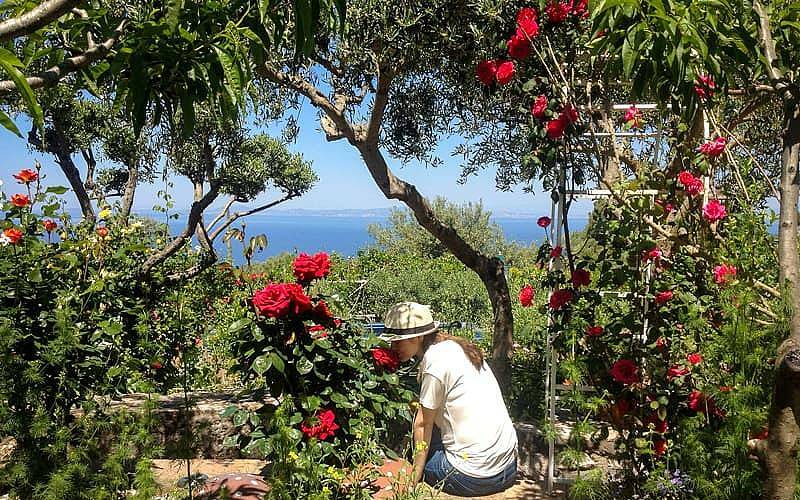 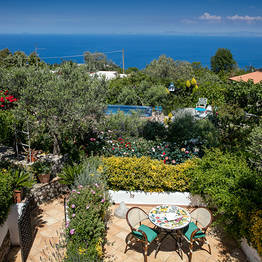 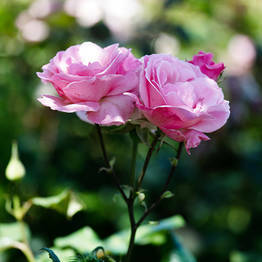 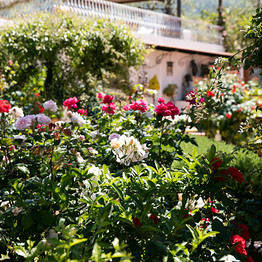 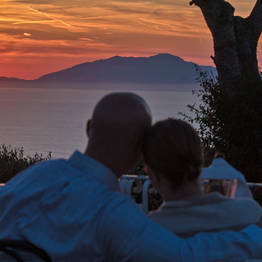 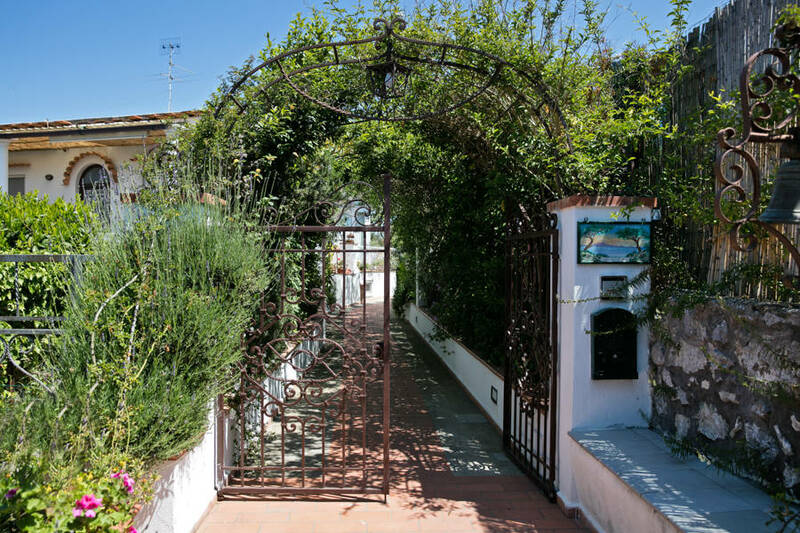 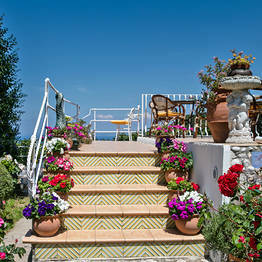 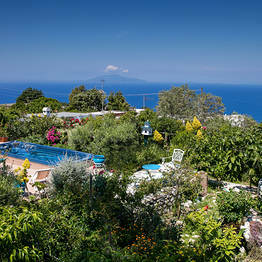 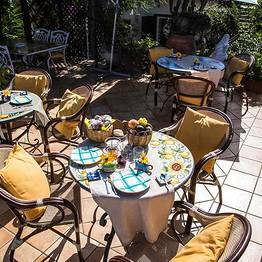 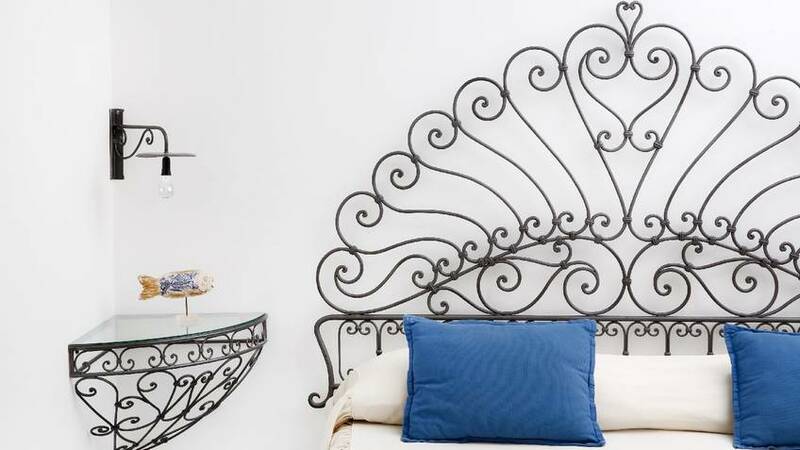 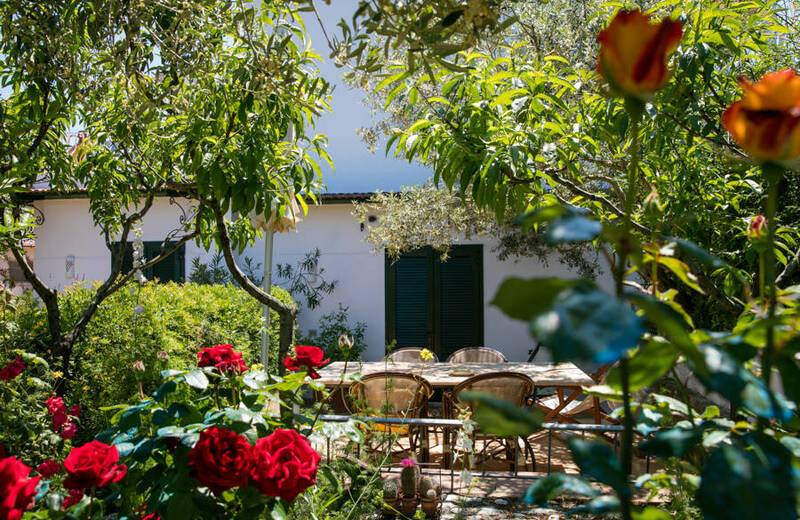 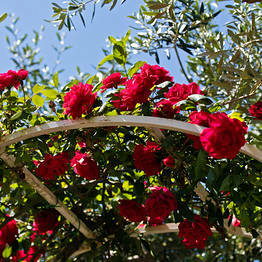 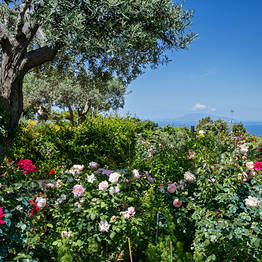 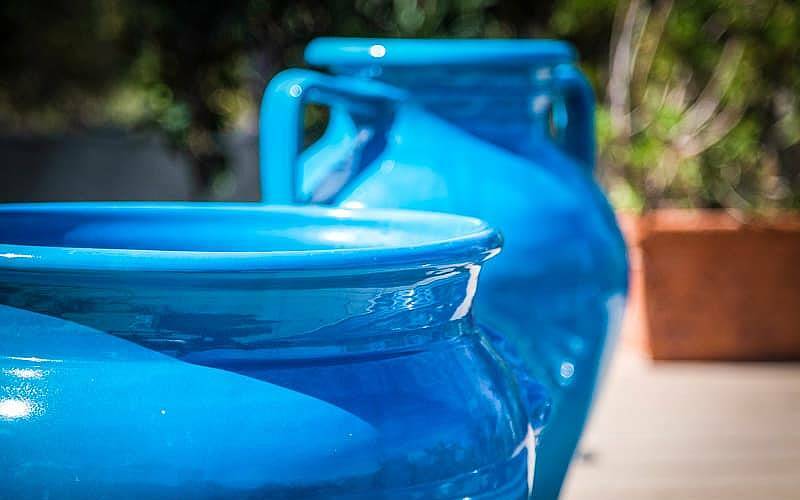 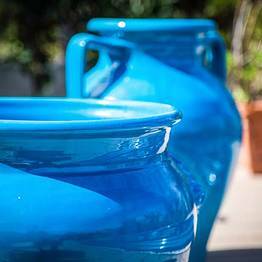 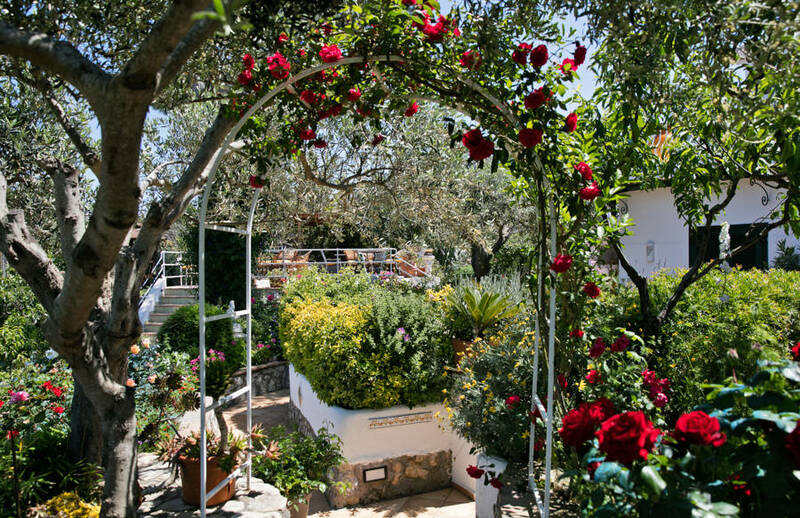 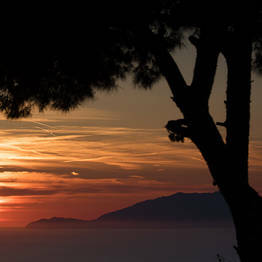 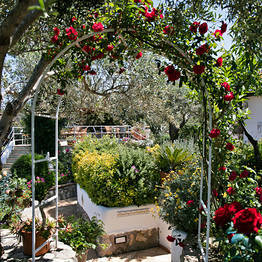 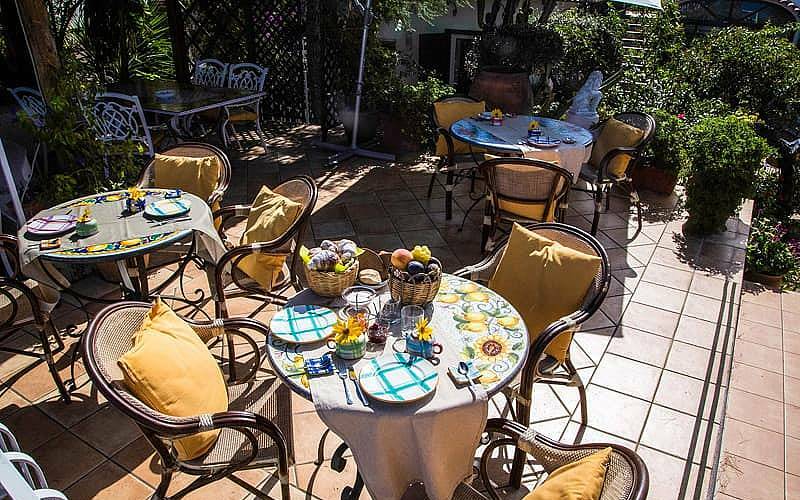 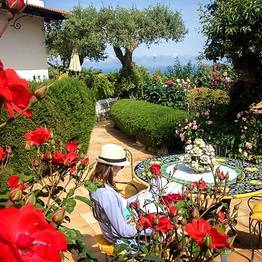 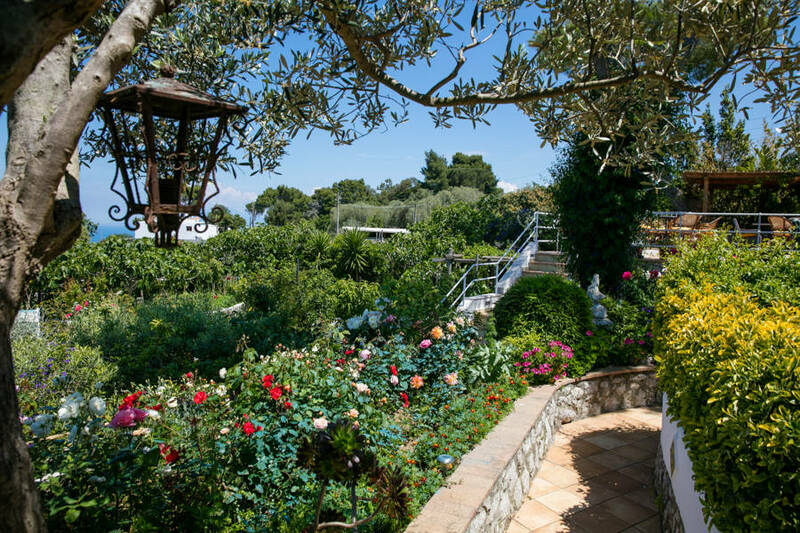 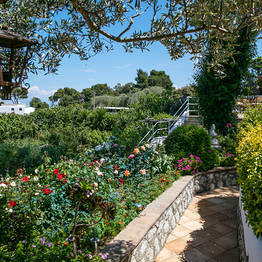 Book Il Giardino dell'Arte on Capri.net now with no additional booking fees.